One of the problems with this counter is the lack of any 12v supply that is able to provide enough current to drive the OCXO’s oven, so I had a look around and found an OCXO made by Isotemp model OCXO131-100 that runs on 5V which is perfect for this build because the counter has a good 5v supply that can easily drive the additional current required – I have provided a download link for the data sheet for the OCXO I used below below. I ordered one from a seller on e-bay and used that as the basis for the hack. 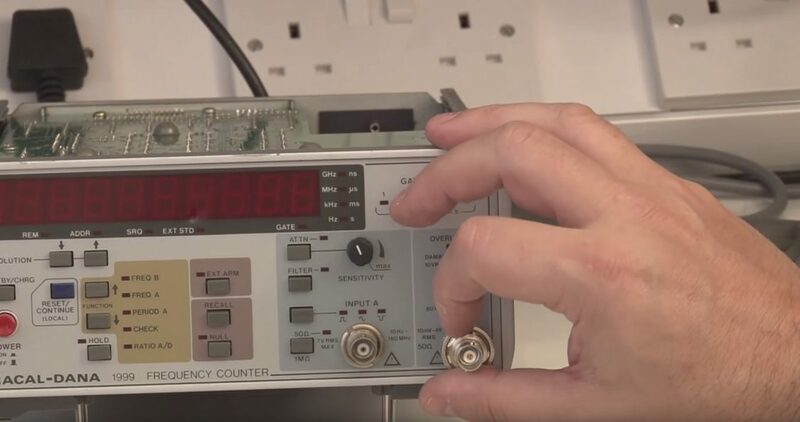 The other key component needed to implement a stable OCXO board for this counter is a “temperature stable” variable voltage between about 1 and 4 volts, this is used to fine tune the OCXO to allow the oscillator to be calibrated. To get me a suitable reference voltage I have used a MAX6198A, chosen simply because I had some to hand – but also because they have pretty darn good temperature stability too. 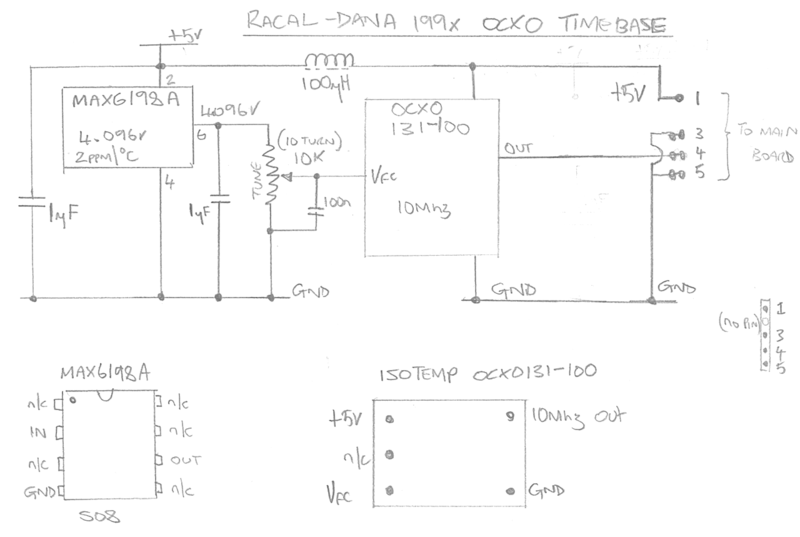 Here is the schematic I used to create the OCXO board.